You may remember last month that I did a post for the Creative Blog Hop; I was nominated by my friend & creative guru Buffy Cooper, to share a project with you, and answer some questions about my ‘creative process’. Well, I’ve been nominated again, this time by the incredibly talented Melissa Banbury of Porch Swing Creations! I know you’ll want to check out Melissa’s blog – you’ll fall in love with her creations! I started with a card base of Smoky Slate, and layered a panel of Lost Lagoon on top of that. I used the 2 1/2″ Circle Punch to cut out the Sweet Dreams Designer Series Paper, and cut a banner from the new SAB Sheer Perfection Vellum Paper. 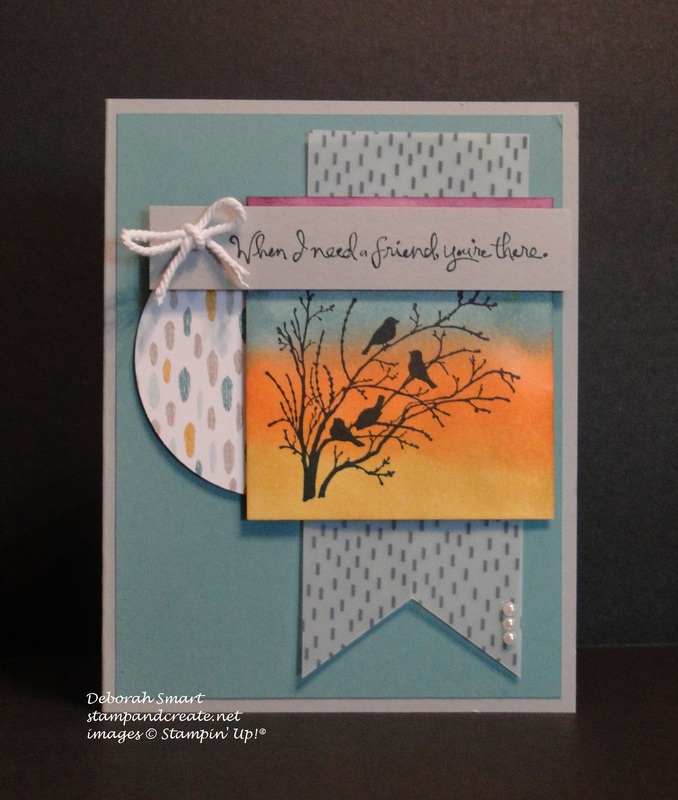 I stamped the image from Serene Silhouettes in Memento Black Ink onto Whisper White cardstock, after first sponging Hello Honey, Tangelo Twist, Lost Lagoon and Blackberry Bliss using Sponge Daubers. The sentiment is from the Choose Happiness stamp set, stamped in Memento Black ink onto Smoky Slate card stock. I finished it off with a small bow of White Baker’s Twine, and added 3 Basic Pearl Embellishments at the bottom of the vellum banner. I have a Technique Club meeting coming up this Friday, so I’m getting prepared for it right now. 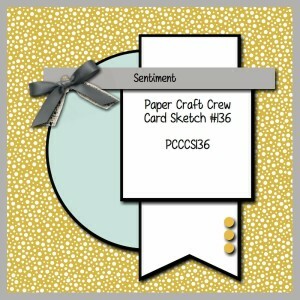 It’s always deciding which new techniques – inking, stamping, paper folding – I’ll be teaching each month. I’m also working on a couple of sketch challenges – I like to keep current with them. I think we all try to create a ‘signature’ style, whether that’s CAS (clean and simple), vintage, shabby chic; I don’t think I’ve developed one particular style yet; I’m still playing with different looks, colours and techniques. 3) Why do you create like you do? 4) How does your creativity work? It really varies, depending on what I’m doing. If it’s a sketch I’m working from, I’ll either start with the stamp set, or with the DSP, and build from there. Sometime I’ll get an idea for a layout in my head, and just have to put it into action; sometimes I’ll have a stamp set that I really want to use. I try to start with a basic idea, then add textures and depth as I’m working on the project. I haven’t heard back from my nominees for next week – but as soon as I do, I’ll tell you who they are, and give you their blog links, so you can be sure to check out their wonderful creations! I hope you’ve enjoyed my project; I’d appreciate any comment you have time to leave, for me! Previous Previous post: Open House Fun & Games! I’m going to need to CASE this one! So lovely! I’m so glad that you like the card, Tina! I’d be honoured to have you CASE it 🙂 Thanks for visiting my blog! 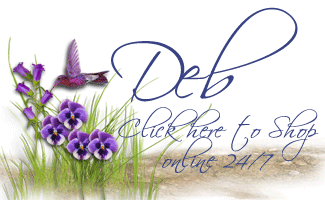 You card is beautiful, Deb! I love the colors and your sponging is awesome. Thanks for inspiring!